Ho, who allegedly wired the money to the bank account of Kuteesa when the latter was the president of the UN Security Council in 2014, was arrested in the US in November and charged with multiple counts of bribery and money laundering and has been detained for more than eight months. Ho, who turned 69 last week in prison, is scheduled to stand trial starting in November. He has been charged with eight counts of bribery and money laundering after allegedly offering US$2.9 million (HK$22.8 million) worth of bribes to government officials in Uganda and Chad to advance oil and development rights for the Shanghai-based CEFC China Energy. Ho had requested bail three times since his arrest in New York last November but was turned down by the federal court for the Southern District of New York, which said he posed a severe flight risk. Ho’s co-defendant, Cheikh Gadio, the former Senegal foreign minister, has been out on bail and under house arrest since November. The South China Morning Post earlier reported that Gadio has been in discussions with the US prosecution about a potential deal. 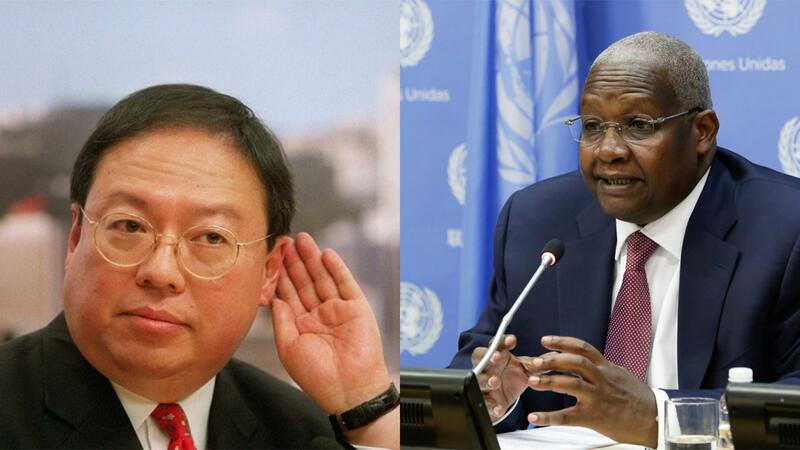 Prosecution states that the contact between Mr Kutesa and HO started in 2014 when they met at the UN in New York. Then, HO, claiming to be acting on behalf of the Energy NGO, discussed a strategic partnership between Uganda and the Energy Company. The company was to engage in various business ventures, which would be formed once Mr Kutesa completed his term as President UNGA and returned to Uganda. Mr Kutesa returned to Uganda in 2015, just ahead of Uganda’s 2016 general election. According to the complaint, in or about February 2016, after Mr Kutesa had resumed his role as Uganda’s Foreign minister, he solicited “a payment from HO, purportedly for a charitable foundation that he wished to launch”. “HO caused a $500,000 payment to be wired to an account in Uganda designated by the Ugandan Foreign Minister, through a bank in New York. In his communications, HO variously referred to this payment as a “donation” to the reelection campaign of the President of Uganda (who had already been reelected) and as a “donation” to “support” the Ugandan Foreign Minister,” says the statement. Attempts to reach Mr Kutesa have so far failed. The U.S. Attorney’s Office of Southern District of New York says the charges contained in the complaint are merely accusations. It says the defendants HO and Cheikh who were arrested on Friday and Saturday respectively are presumed innocent unless and until proven guilty. HO, 68, of Hong Kong, China, and GADIO, 61, of Senegal, are each charged with conspiring to violate the FCPA, violating the FCPA, conspiring to commit international money laundering, and committing international money laundering.